Louisville, KY – Rev-A-Shelf, LLC is proud to annou nce the opening of our state-of-the-art worldwide headquarters at 12400 Earl Jones Way. A ribbon cutt ing ceremony on January 27th marked the official opening of the facility. In attendance were Louisvi lle Mayor Greg Fisher, President of Kelley Construc tion Joe Kelley, President of Kovert Hawkins John Hawkin s, and Tom Simpson, General Manager of Kovert Hawkins. 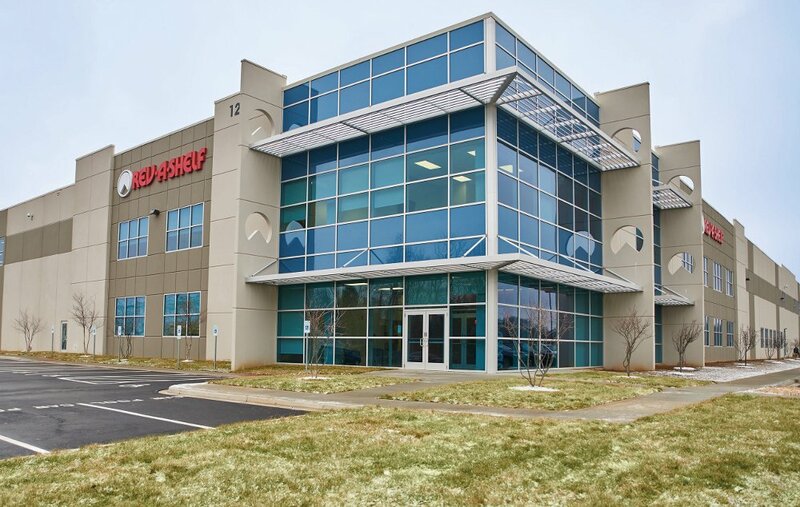 Our former facility, located on Plantside Drive in Jeffersontown, is 95,000 square feet. The new space is substantially larger, boasting a new L.E.D. testing lab and seven conference/training rooms. 95,000 sq uare feet of additional land is earmarked for future exp ansion. Established in 1978 as a division of Jones Plastic & Engineering, our product line began as metal and polymer Lazy Susan components manufactured for the largest U.S. cabine t manufacturers and they have grown into the market leading innovator of quality functional residential cabinet storage, LED Cabinet Lighting and organizational p roducts. Rev-A-Shelf manufactures thousands of innovative ac cessories for your, kitchen, bath or closet. With the acquisition of Tresco Lighting, Rev-A-Shelf now offers a full line of L.E.D. lighting options for residential & comme rcial cabinetry and store display fixtures. Rev-A-Shelf’s primary marke ts are Cabinet Hardware Distributors, large OEM cab inet manufacturers, Lowes and Menards home centers, and a number of online web resellers. Rev-A-Shelf International is located in Altach Aust ria and manufactures, markets and distributes simil ar products to the European market.